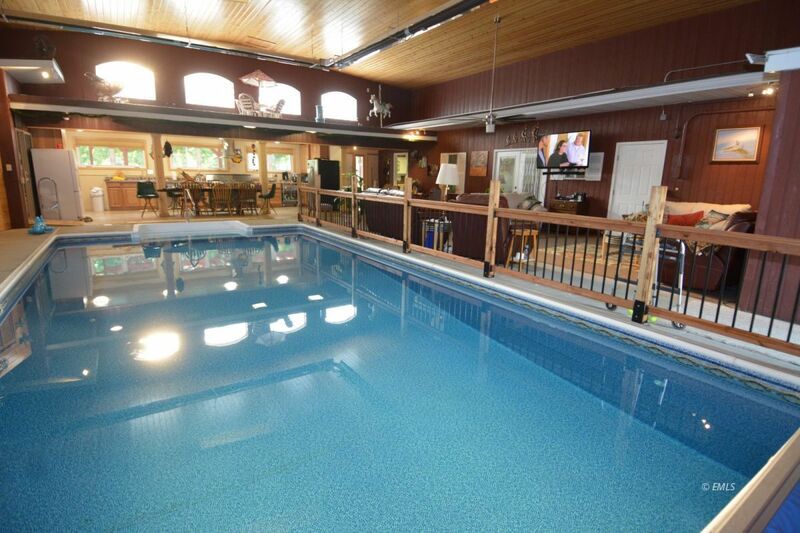 This is one of a kind property in Miles City, 4800 sq. ft. on one level, 3 bedroom 3 bath, salt water swimming pool, large master suite with walk in closet, walk in shower. The features of this home include a large open entertainment area with an indoor heated salt water pool with electric pool cover, custom entertainment kitchen with 6 burner 2 oven Viking gas range, hickory cabinets, dishwasher and refrigerator, radiant heat the pool area to fulfill your entertaining desires. main kitchen has a breakfast bar, formal dining room, living room with fireplace, office, laundry room, 2 bedroom 2 bath. Also included is a 22 X 44 ft heated shop with automatic garage door. The home is a jewel that you need to see to be able to appreciate.